Sports – and lots of them – were a way of life starting in her earliest childhood years. From AYSO soccer to NOR softball, ballet, swimming and diving, Norris School basketball, and volleyball, Lisa just played and demonstrated a special athletic talent from the beginning. 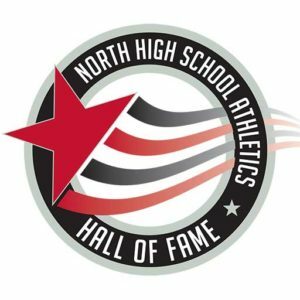 Entering North High as a freshman in 1988, Johns lettered in three varsity sports — volleyball, basketball, and softball. In subsequent years at North High, Johns collected a myriad of titles and accolades. As a freshman, she was picked as an All-Area athlete in volleyball, the first of four such selections. Her teams would go on to win multiple SYL league titles and two CIF Central Section titles with bids in the state playoffs. As a senior team captain, Johns led the Lady Stars volleyball to a perfect SYL 12-0 league record and then to the section title. She was Area Player-of-the-year that year, was named to Volleyball Magazine’s “Fab 50” list, and USA Today picked Johns as one of the top two high school setters in the nation. In basketball, she helped North High teams win back-to-back section titles her sophomore and junior seasons. Johns collected 12 varsity letters during her North High tenure and held a starting position on 10 out of 12 of those teams. She never missed a single game due to injury or illness in her entire high school athletic career. She also excelled in academics and was selected to numerous scholar-athlete teams, won the Mayor’s Award, and was selected as girl scholar-athlete of the year for the CIF Central Section her senior season. Finally, Johns garnered national recognition for both her athletic prowess and hard work in the classroom and was one of eight high school scholar-athletes selected as AAU/Mars MILKY WAY High School All-American. Johns completed her academic studies at North High with a 4.1 GPA her senior year. Johns signed with national volleyball powerhouse University of the Pacific in 1990 and played four years for the Lady Tigers. She graduated from UOP in four years and moved to Tucson, where she coached high school club volleyball and assisted the University of Arizona women’s volleyball team. She earned an MBA from Arizona before to the Bay Area to work as a business consultant. Johns currently resides in Arizona with her husband Josh (also NHS alum, ’91) and son Luke. She works as a professor of accounting in the W.A. Franke College of Business at Northern Arizona University. Congratulations Lisa, just another amazing female student/athlete that helped make North High the great school that it is.